Everyone loves ice cream … especially kids, says Ujwal Potnis. A fact that he’s based his very business ideals upon. One that captures fun and creates an environment for people to enjoy. In fact, after wanting to start his own business for years, Potnis said it was ultimately his own positive experiences that led him toward Dippin’ Dots. Whenever he visited the mall, he’d buy the ice cream for his daughter, who was a baby at the time. It was a pastime they both grew to love, both for the Dippin’ Dots flavor, and for the bonding experience. However, he also took a practical standpoint when choosing his business venture, looking at overhead and ease of serving. While traditional ice cream requires large drums and scooping labor, Dippin’ Dots is far more versatile and can be easily placed into serving cups. The novelty of the brand also helps bring in sales, he said. After combining the product’s flavor with family experiences, Potnis began working with Dippin’ Dots back in 2003. Though he still keeps a full time job, he said running his own small business has allowed him fulfillment and the ability to teach business practices to others, including his manager, who has been with him since 2005. Together, the pair work to create a positive working environment that anyone would want to be a part of. As for his own success with employees, he said it’s from having a good manager who’s able to run the business while he’s away. The fact that he doesn’t micromanage solidifies their trust, while part-time employees are able to see this dynamic and earn their own levels of camaraderie. Or as Potnis puts it, respect and verification. And so far, his tactics have held up. 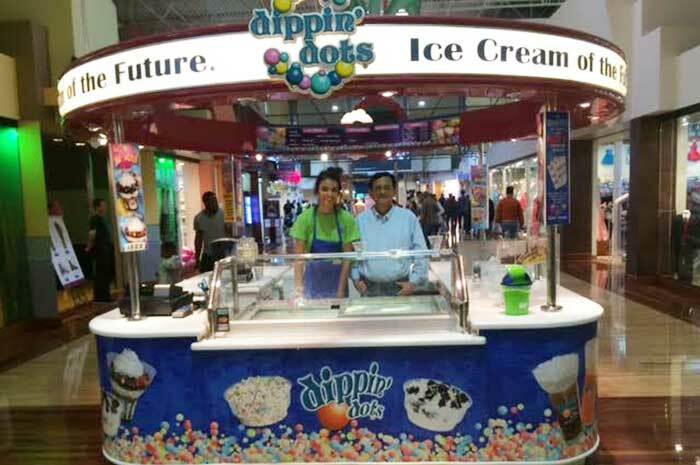 Potnis owns two carts in Texas, which are moved between malls and other outdoor locations, while also selling Dippin’ Dots products to nearby elementary schools. It’s a schedule that he keeps strict track of, even when working his full time position across town. Without being aware of hours, weather (outdoor locations will sell fewer servings in inclement weather while indoor ones will flourish), etc., Potnis said his business might have been taken advantage of. 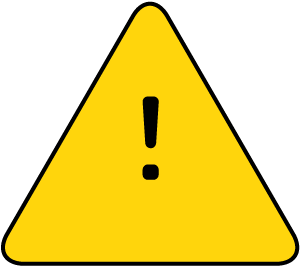 Simply by following trends and numbers, he’s been able to catch “a few bad apples” over the years and save his company. When it comes to the product itself, however, Potnis, too, is a sucker for Dippin’ Dots’ charm. Aside from the nostalgia the product brings, reminding him of the days when he’d feed ice cream to his daughter, it’s flat out delicious. When sampling, he prefers coconut cream and banana split flavors, though, no flavor is really “bad,” he says. Summing it up in his own words, Potnis said the fact that he’s still excited about the very product he’s out to sell, proves he chose a good one. A brand he’s sure to stick with in years to come. To Learn More About The Dippin' Dots franchise and request more information - please visit Dippin' Dots' franchise page. The company hosts a reward program, offering deals, coupons, and special promotions, for repeat customers called Dot Crazy! Dippin’ Dots fooled thousands with their April Fools announcement for “Dinner Dots,” which were futuristic meals in their classic dot form. The brand is hosting ongoing promotions where customers can win an entire year’s worth of Dippin’ Dots product.